‘Year One: How Julius Malema destroyed the NPA’s case against Jacob Zuma in 365 days’, is the latest report from the Institute of Race Relations (IRR). Written by the IRR’s Head of Politics and Governance, Gareth van Onselen, the report examines the primary role played by then ANC Youth League leader Julius Malema ‘in the destruction of the National Prosecuting Authority’s original case against former President Jacob Zuma’. The report spans the course of a year, from Malema’s election as ANCYL president in April 2008 to the NPA’s decision to drop all charges against Zuma in April 2009, and is told using Malema’s own words, drawn from over 2 000 news stories that covered that period. Van Onselen writes: ‘Its purpose is twofold. The first is to demonstrate how Malema led the public charge, in a sustained and systematic fashion over twelve months, to promote the narrative that the case against Zuma was the product of a political conspiracy, with former President Thabo Mbeki at its heart, and to show how, to that end, he helped facilitate and justify to the NPA the destruction of the integrity of the judicial system, the Directorate of Special Operations (the Scorpions) and the ANC itself. Notes Van Onselen: ‘It is a remarkable fact that for all the damage Julius Malema inflicted on the justice system, he suffers no commensurate reputation. 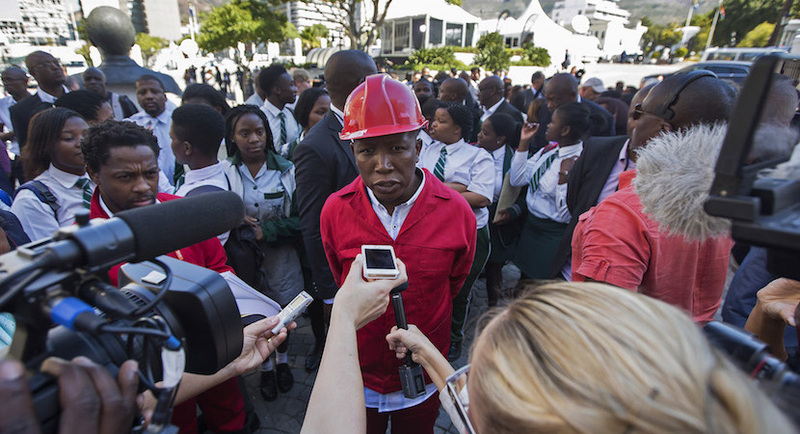 An examination of the period April 2008 – April 2009 reveals the extent not only of Malema’s contempt for the rule of law, but its representatives.